Here’s another spotlight blog post of our amazing vendor, Bee Kind Organics. Our marketing director, Jennifer Lyon, sent Talli, founder of this wonderful Ontario-based company, a few questions about the work she does. Here are her responses! 1. What is Bee Kind Organics? Bee Kind Organics is a small home based business up on a hill nestled in the forest in the Bancroft area. I design my products to be pure and simple and to contain as many homegrown and local wild ingredients as possible. 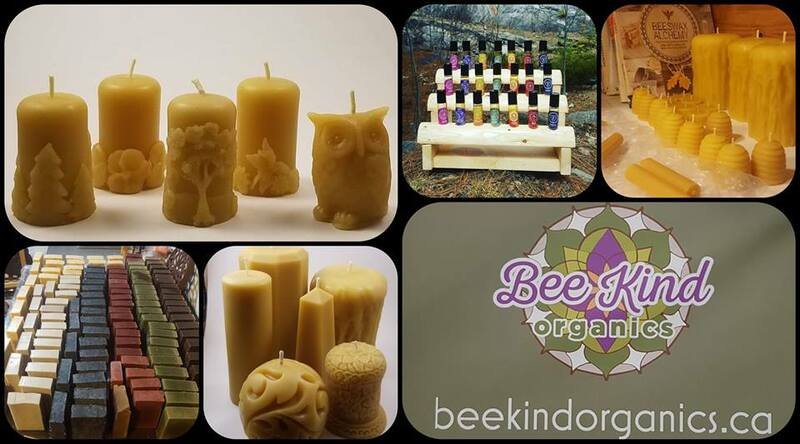 Bee Kind Organics is education, when interacting with people I am given the opportunity to educate and encourage people as to the environmental benefits of beeswax candles, natural soaps and herbal ointments. I am a beekeeper and make all of my products in honor and respect of the bees. I use my own beeswax in my soaps, ointments and lip balm. I purchase beeswax for the candles and buy only from small apiaries in Ontario and Quebec. I try my best to choose sustainable ingredients for my products. 3. Tell me about you! Why did you decide to launch Bee Kind Organics? I am a mother of 4 and have done everything in my power to raise my children as naturally and close to nature as possible. 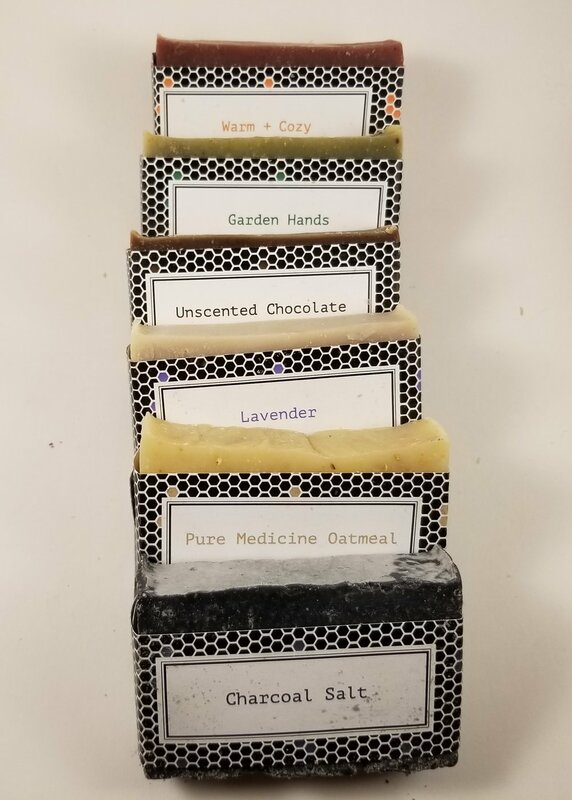 My ointments were made originally for my family out of herbs that I grew and wild crafted and the candles were also made for my family and friends who live off the grid and needed a financially sustainable way to burn beeswax candles. This became a small market business and now full on business that has allowed me to be home and home school my children. I am making wax bowls. This is my new product. The bowls are adorned with pressed flowers and precious minerals. The bowls are sold as planters including a succulent/cactus OR a little bag of sand on which to place an included tealight to make it a luminaire. They are beautiful !